We all want to wake up on the right side of the bed feeling invigorated and ready for another day. But as we age, we’re reminded of the aches and pains of arthritis and tight muscles when we wake up stiff in the morning. Researchers revealed the reason our limbs can feel rigid and achy when we rise is because the body’s biological clock suppresses anti-inflammatory proteins during sleep. However, when we exercise, we release endorphins that help minimize discomfort. These chemicals are very similar to the pain relieving drug, morphine. Once activated, our endorphins help bring about feelings of euphoria and general well-being. So, if you wake up sluggish, or stiff, learn to use your bed as a mini-gym – it’s economical and sensible too! Before you even get out of bed in the morning, doing the following simple exercises. These exercises are gentle enough to be done every morning. In all of them, you’ll start by lying flat on your back with your arms at your sides. Slide one leg out to the side, keeping the other leg straight. Then slide the leg back to its starting position. Repeat 5 times with each leg. 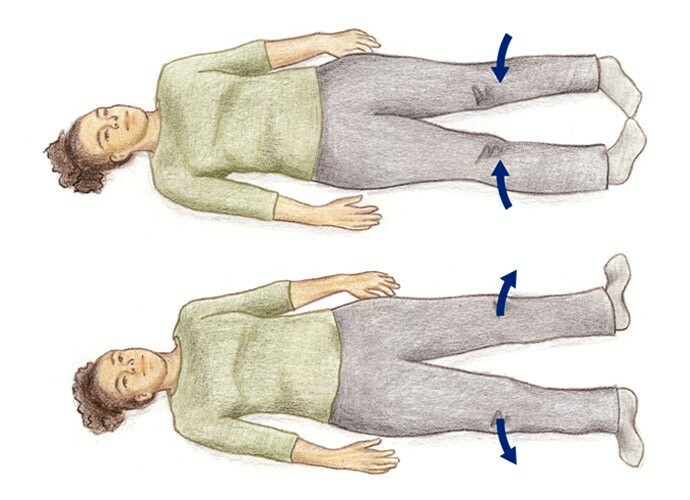 With your feet about hip-distance apart, gently roll your knees toward each other, and then roll them outward. Repeat 5 times. With your feet about hip-distance apart, gently bend one knee and slide your heel along the bed up toward your buttock. Bend your knee as far as possible and hold for 3 seconds. Then gently slide your heel back to the starting position. Repeat 5 times with each leg. Gently “pump” both ankles up and down, so that your toes point first up and in toward you, then forward and away from you. Repeat 5 times. 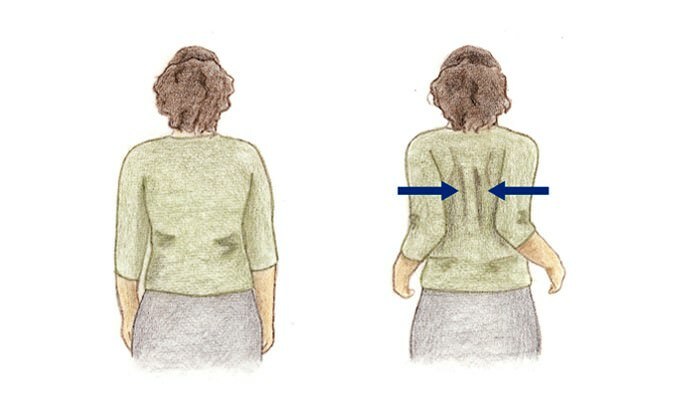 Lift one arm up until it is perpendicular to the bed, keeping your elbow straight. Lower your arm back down to your side. Repeat 5 times with each arm. Lift your right hand up and bend your right elbow as far as you comfortably can. Hold for 3 seconds, and then straighten your elbow. Repeat 5 times with each arm. Gently pinch your shoulder blades together. Hold for 5 seconds, and then relax. Repeat 5 times. For more instructions on bed stretches, refer to the links below.